Firearms Browse one of Canada's largest new & used collections Shop now! Goble's is excited to bring our store online. Currently we have a 100% live firearm list that will update immediately ensuring you always have an up-to-date list of our inventory. And if you see anything you like, you can purchase it directly off the site. 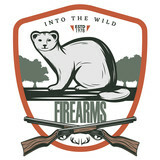 No drop shipping, waiting or disappointment; every firearm is on our racks. Over the coming months we intend to add ammo, optics and a variety of other gear as we continue to expand our online store. Naturally if you have any questions, please contact our industry leading team by email at info@gobles.ca or by phone at 519.455.4277.